SGX Day Traders: 2014 May 24-- #sgxdaytraders Follow up post G Invacom on 2014 May 23 Technical Buy call before the event. 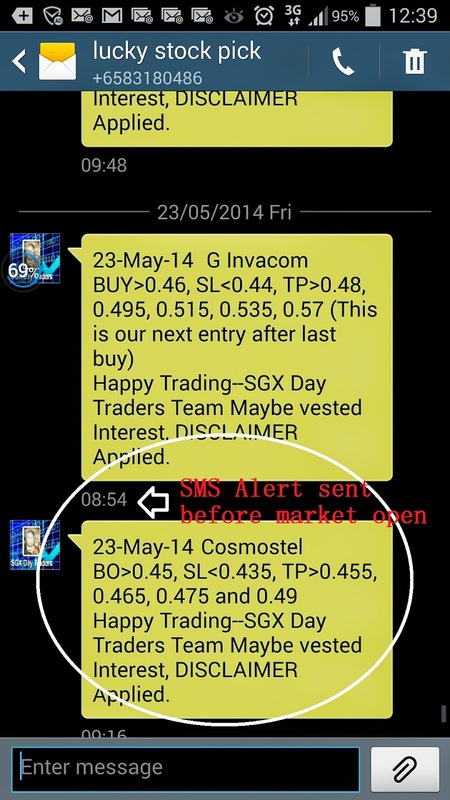 2014 May 24-- #sgxdaytraders Follow up post G Invacom on 2014 May 23 Technical Buy call before the event. 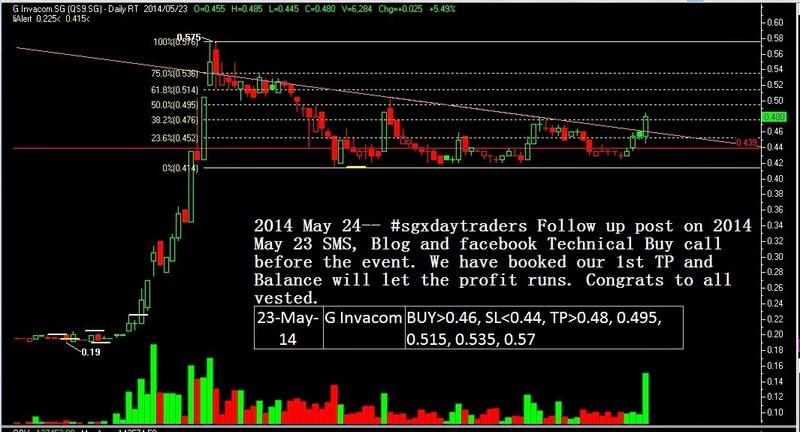 2014 May 24-- #sgxdaytraders Follow up post on 2014 May 23 SMS, Blog and facebook Technical Buy call before the event. We have booked our 1st TP and Balance will let the profit runs. Congrats to all vested.